When was the last time you enjoyed a delicious, tropical fruit? Truthfully, most of us don’t realize how much we love and miss them, until they aren’t as readily available. Tropical fruits are cultivated in very humid temperature zones. Many are also indigenous to specific regions. However, for several years there has been an increasing demand for tropical fruits in other parts of the world. Hence, many such as mangoes, pineapples, papaya and even some of the more exotic ones are no longer limited geographically. In fact, in 2010, developed countries made up approximately 80% of world import trade (FAO). Additionally, no two tropical fruits are the same; they all vary by taste, color, size etc. So with that said, here is a list of some of ones we all love, which by the way, you just may be able to find in your local farmers market. 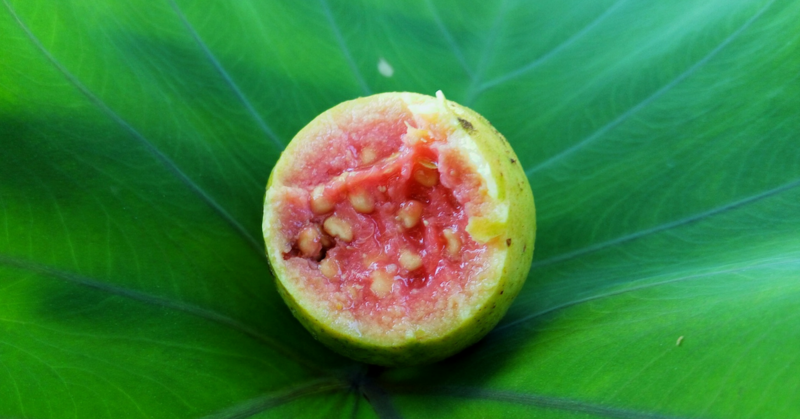 Guava is native to Central America or Mexico and later spread to other tropical regions. This fruit is grown on a small tree referred to as the Myrtaceae. Guavas are rich in potassium and vitamin C. Some of the other nutrients they contain, include protein, fiber, magnesium, niacin and folate. Guavas are great for juicing, and for making jellies and jams. 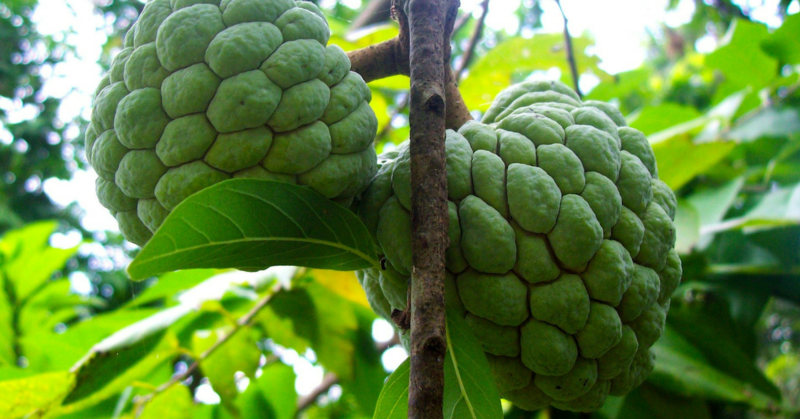 Sweetsop or sugar-apples originated in the West Indies and tropical American regions. This fruit comes from the Annonaceae tree family. Its main nutrients are potassium, calcium, magnesium, phosphorus, vitamin C and folate. Sweetsops make good ice cream. They are also great in fruit salads, as well as milky drinks like shakes and smoothies. Star Apple is native to the West Indies and the Greater Antilles, and then distributed to other tropical regions, such as Southeast Asia. It grows on a very tall tree from the Sapotaceae family. Depending on the region, the star apple is also known by names such as Swarnapathry, tar apple, abiaba, aguay, cainito and pomme de lait. Star apples are also used to make ice cream, shakes, smoothies, and are the perfect addition to any fruit salad. 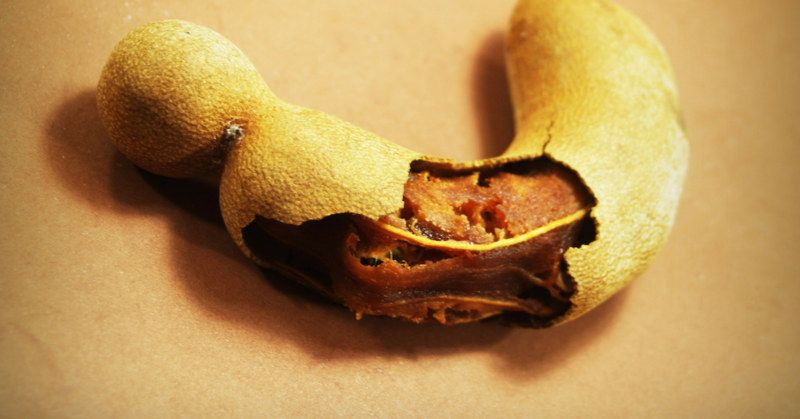 Tamarind, though native to Africa, today grows in many tropical and subtropical regions. This pod-like fruit grows on a medium height tree from the Fabaceae family. Also referred to as tamarindo in many Latin countries, the tamarind is used a lot in Indian cuisine. 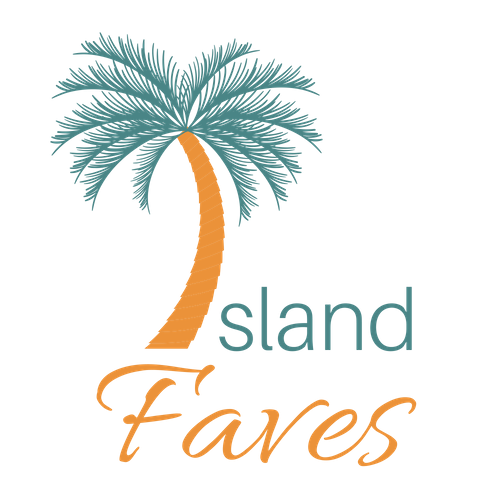 It is also the main ingredient for a popular island candy known as tamarind balls. Its nutrients include calcium, potassium, phosphorus, and magnesium. Mangoes originated in South Asia. 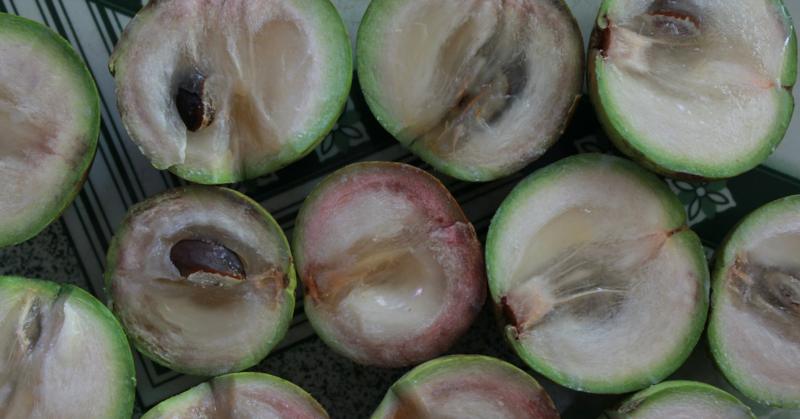 It is also one of the most cultivated tropical fruits; Mexico being one of its main suppliers. Mangoes come from the Anacardiaceaet tree family. 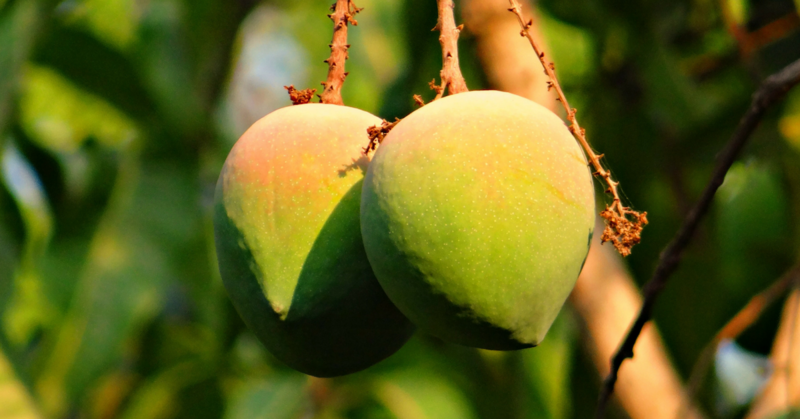 Yet with many known species, the “common mango” or “Indian mango” are the most popular. Besides that, mangoes contain high amounts of vitamin A. Its other primary nutrients include potassium, vitamin C and folate. Mangoes make delicious juices, chutneys, sauces and even spices. 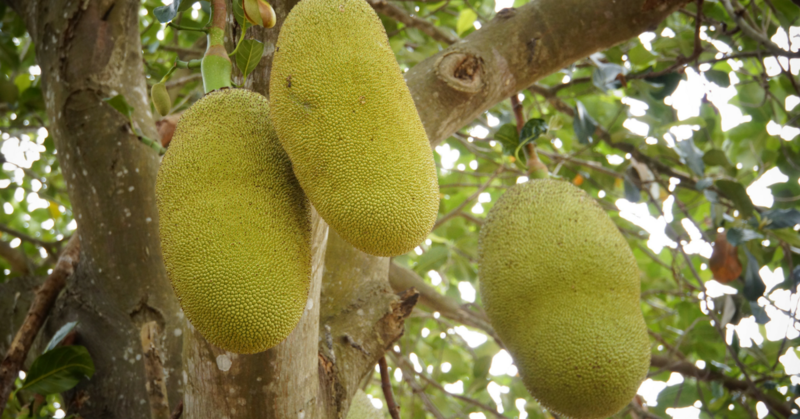 Jackfruit is one of the largest and heaviest tree-born fruits. It originated in Southwest India and today grows in many tropical regions. Jackfruit is also high in potassium and contains reasonable amounts of vitamin A, calcium, magnesium, phosphorus, vitamin C and folate. Today, jackfruit has become one of the most sought after vegan meat substitutes. It also makes the most delicious desserts. Papaya, otherwise known as papaw and pawpaw, is a native of tropical American regions or Southern Mexico/Central America. Today, it grows wild in many Caribbean countries and other tropical regions. Besides that, papayas contain lots of potassium. Some of its other primary nutrients include vitamin C, vitamin A and folate. 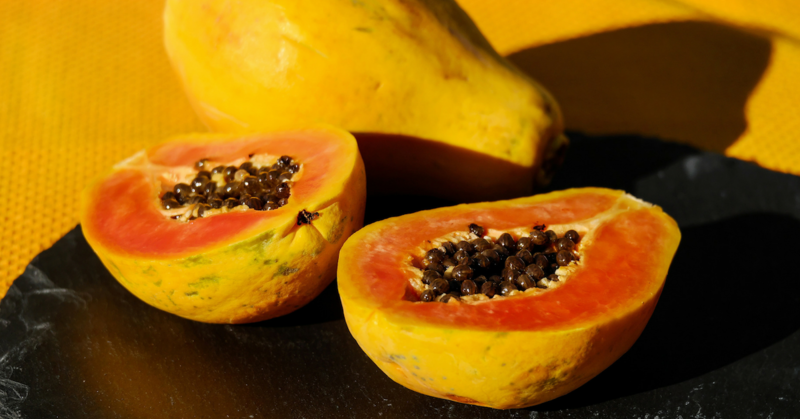 In addition to fruit salads, papayas are also used to make sauces, jams and even ice-cream. i. Food and Agriculture Organization of the United Nations (FAO). "Tropical fruits." FAO Commodities and Trade Technical Paper 1. <http://www.fao.org/docrep/006/y5143e/y5143e1a.htm>. ii. Wikipedia contributors. "Guava," "Sweetsop," "Tamarind," "Mango," "Jackfruit," "Papaya." Wikipedia, The Free Encyclopedia. Wikipedia, The Free Encyclopedia. Web. 26 Oct. 2018.